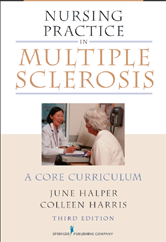 This updated edition of the core curriculum for nursing practice with multiple sclerosis (MS) patients presents the most current diagnostic tools and strategies for managing the disease process. It addresses both the physical and psychosocial changes with which MS patients must cope, and focuses on the role of nursing in helping patients to devise, learn, and implement self-care strategies. The book discusses the application of change theory to MS nursing and examines current theories regarding the immunologic bases of MS, its epidemiology, and genetics. Information is presented in an easy-to-read outline format along with case studies that further clarify the material. Each chapter begins with a list of objectives to facilitate learning.Nursing Practice in Multiple Sclerosis offers a vast reservoir of information for MS nurse specialists and students, providing an excellent day-to-day reference as well as a comprehensive review for nurses who intend to take the MS nursing certification exam. It is a companion volume to Comprehensive Nursing Care in Multiple Sclerosis and Advanced Concepts in Multiple Sclerosis Nursing Care.